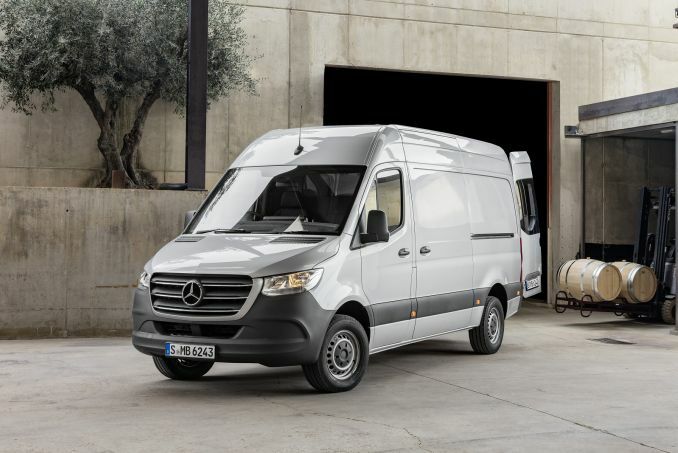 In many ways, the Mercedes Sprinter has come to define the large van sector. 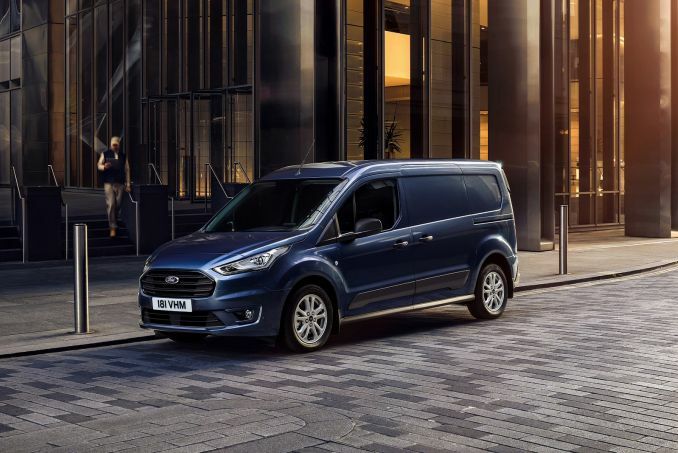 It's by far the best-selling LCV across Europe, tracing its lineage back to 1995, with a second generation design appearing in 2006 and this third generation model being launched in the Spring of 2018. 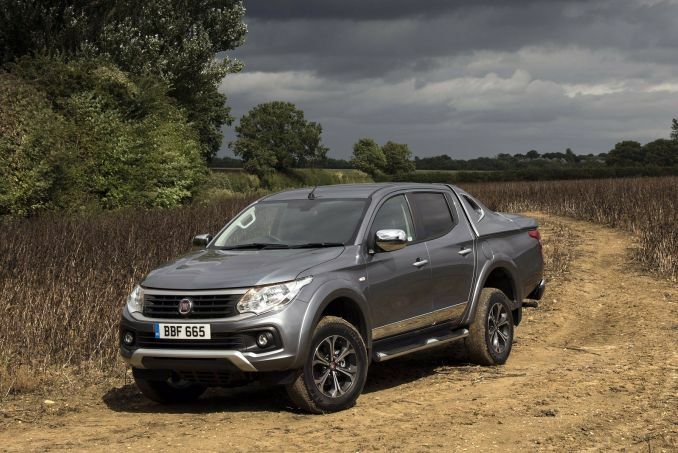 This time round, the availability of front-wheel-drive extends the available options. Plus there's a range of fresh connectivity choices that business buyers will like, as well as improvements to safety and running cost efficiency. 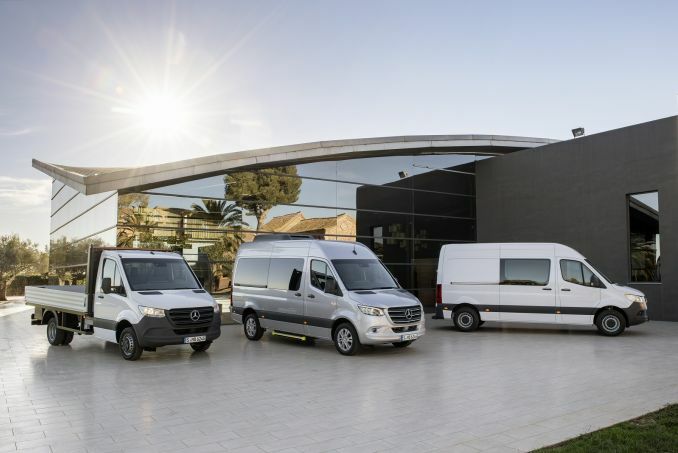 Front-wheel, rear-wheel or all-wheel drive - for the first time the new Sprinter covers all three drive variants, and can therefore be optimally configured for the relevant transport requirement and operating profile. The front-wheel drive especially shows its inherent advantages when the vehicle is lightly loaded or in slippery conditions. Front-driven variants get either a 6-speed manual transmission or a 9-speed automatic 'box, both freshly designed. In the rear-wheel drive variants, thanks to separation of the drive and steering, the classic advantages lie in optimum ride comfort, a smaller turning circle and more agile handling. Rear-wheel drive also allows more control when towing a trailer and at the limits of the maximum permissible gross vehicle weight. The optional all-wheel drive system improves traction, particularly in difficult weather conditions or poor road conditions, thus enhancing driving safety and driving dynamics.  Gear reduction is additionally available for demanding operations. As for engines, well not too much has changed here. Most will continue to choose the four cylinder 2.1-litre diesel powerplant. With front or rear wheel drive, it's available with 114 or 143bhp. The top 2.1-litre unit gets 163bhp when rear-driven or 177hp when front-driven. Above that, there's a 190hp 3.0-litre V6 diesel with 440Nm of torque. Depending on the variant chosen, this third generation Sprinter features four different front-end designs. Plus there's the option of LED lighting with 'eagle wing' design daytime-running lights. The driver's workplace is uncluttered, practical and designed to meet the relevant transport requirements. The improvements include ergonomically shaped seats, keyless start and an improved air conditioning system. A variable stowage concept ensures that everything has its place. The interior also features a fresh modular dashboard design that allows for maximum flexibility - everything from extra storage, to cutting-edge infotainment and wireless charging is available. The multimedia system has a large, high-resolution touchscreen, fast hard-disc navigation with 3D map display and smartphone integration. For pleasant temperatures inside the cockpit, owners can choose between a semi-automatic air conditioning system or automatic climate control, according to their comfort requirements. Prices start at just under £25,000. The core of the model range remains as before; three wheelbases, four vehicle lengths, three roof heights, chassis, chassis crew cab, Tourers, plus an all-new Tractor Head chassis specifically designed for motorhomes. Four-cylinder and V6 turbocharged common rail diesel engines remain available alongside 7G-TRONIC PLUS (for RWD models) and 9G-TRONIC automatic transmissions (for FWD models). This Sprinter offers the most advanced connectivity solution ever fitted to a van. This is thanks to a 'Communication Module', offered as standard, which has an in-built LTE SIM-card which offers rapid data transmission between vans, drivers and vehicle managers. Mercedes says that this Sprinter also redefines safety in the large van segment. It gets as standard autonomous braking, the brand's 'Active Brake Assist with pedestrian protection' package. Plus, like the Vito, this LCV is also fitted with 'ATTENTION ASSIST' drowsiness detection, to prevent fatigue and encourage drivers to drive responsibly with breaks when they get tired. The Mercedes-Benz Emergency Call system can summon rescue services in the event of an accident whilst Rear Cross Traffic and Exit Alert monitors the rear of the vehicle, and can autonomously brake in the event of an impending collision. In the event of an accident, Sprinter automatically applies its brakes to prevent secondary collisions. As usual the main available body variants are the panel van, a chassis with single or crew cab and the Sprinter Tourer bus. Three different wheelbases and tonnages between 3.0 and 5.5 tonnes create further individualisation options. The maximum towing capacity is 3.5 tonnes. 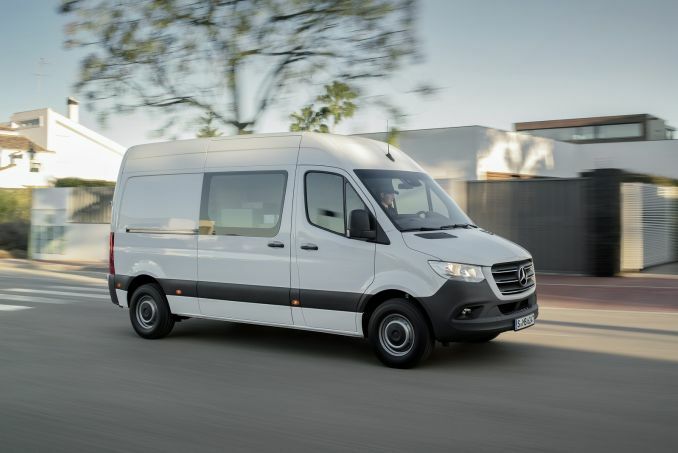 The Sprinter founded its reputation on solid practicality and the latest model is no exception. An 80mm lower loading sill makes loading and unloading more convenient. The rear doors can be swung through 270-degrees and latched against the sides. The load compartment also scores with clever detailed solutions. Loadable wheel arches and fully usable load compartment heights increase versatility, especially in combination with front-wheel drive. Plus the payload of the front-driven version increases by 50 kilograms compared to rear-wheel drive. Across the range, the maximum load capacity is increased to a maximum of 17 m3 on the largest version. As for running costs, there's proven BlueTEC engine technology to reduce emissions using Selective Catalytic Reduction technology with the AdBlue exhaust after-treatment process to reduce the proportion of nitrogen oxides after combustion by over 80 percent. The AdBlue tank capacity has increased from the 18 litres of the preceding generation to 22-litres. There will also be a full-electric eSprinter model. Despite its European success, this Sprinter still isn't one of the first vans that many British business think of when their looking for a really large LCV. Yet on this evidence, perhaps its should be. It's as big and practical as any of its rivals, with a refined powertrain. The availability of front wheel drive will enable Mercedes to access a wider band of buyers too. Yes of course there are cheaper rivals. Some of them feel a little more avant garde too and have cleverer cabs. 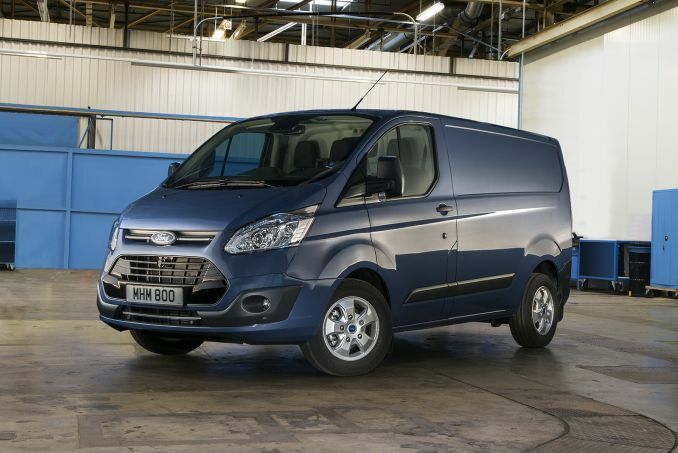 But when it comes to the things that actually matter when it comes to running a vehicle of this kind, the Sprinter ticks most of the important boxes with the kind of thoroughness that you'd expect from something bearing the famous Three Pointed Star on its grille. All of which means that whatever your business, this could be your righthand van. Some things just don't change.